Disney’s Frozen has gotten under my skin in a way that no movie has in a very long time. I knew I enjoyed it the first time I watched it, but I really had no idea just how much this movie would be on my mind in the time since then. At first I thought that maybe it was just the fact the Disney had seemingly gone back to their roots in making great animated movies in the vein of The Little Mermaid, Beauty and the Beast, and my personal favorite – Aladdin. Correction, my former personal favorite as Frozen has soundly dethroned its predecessor. However as time has progressed I am coming to find that it really isn't that simple. Frozen has simply spoken to me on a level that very few works have ever managed. In short, Frozen got to my heart. (As it turns out, contrary to popular belief, I have one.) The style of the animation and the use of the musical numbers in not only supplementing the story but developing plot points and furthering the narrative have elevated the latest Disney animated masterpiece to immediate classical status. Yet somehow they simultaneously managed to turn some of the usual Disney princess tropes on their ear. The first ever Disney princess film to feature two female lead characters, the film focuses on true love in a manner no other Disney film as addressed. If you haven’t seen the film yet, get your mind out of the gutter – they are sisters! This is still Disney after all. Having said that, this film tackles some extremely mature themes: responsible use of power, abandonment, parental loss, isolation, loyalty, manipulation, fear, and acceptance. All this while maintaining the lightheartedness of a Disney animated film and introducing interesting, insightful and engaging characters who ultimately take us along on the not so insignificant emotional roller-coaster that is their journey. 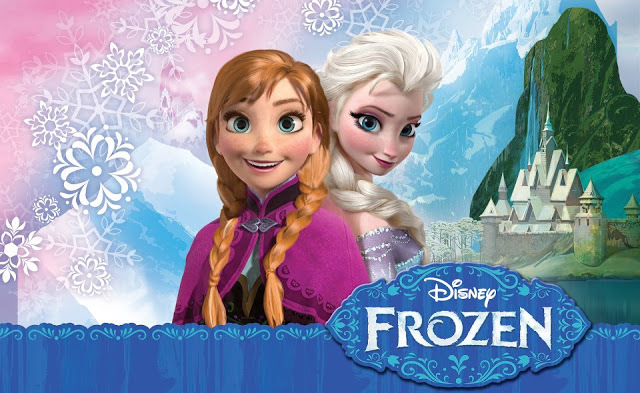 The lead characters, Elsa and Anna are completely believable as real, flawed individuals. 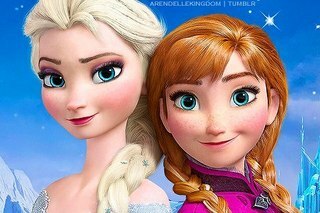 Their relationship is less than perfect and the way Elsa can be dismissive of Anna is something that any younger sibling can relate to. 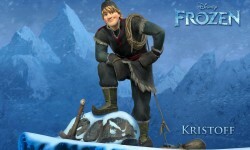 Kristoff, the main male lead is a thoughtful observer and ultimately a partner in the heroin’s adventure with quirks of his own. He serves to keep Anna grounded not only in the quest to find her sister but in matters of life in general such as judgement and decision making. Olaf's, the magical snowman inadvertently brought to life by Elsa has a musical number "In Summer" that brings out the magic that is a trademark of classic Disney films, and the villain is – well in the words of Professor River Song – Spoilers! Then there is the singing! Broadway veteran Idina Menzel (Rent, Wicked) absolutely enthralls with the power of her vocals. The big number of the film (in my opinion) is Elsa's "Let It Go", which has since been covered in a pop version by Demi Lavato. It shows the incredible performance skills of this talented singer while simultaneously really opening up and defining the character which she is portraying. The big surprise in this film is the vocals of the second female lead, Kristen Bell. Not knowing much about her, I would have never guessed that she had such a gifted singing voice – one she would need if she were to go toe to toe with the likes of Menzel. In it's 9th week in theaters and still going strong, this is easily one of the must see movies of 2013/14. All in all Disney's Frozen fires on all cylinders! Beautifully animation, incredibly well written characters, powerful musical numbers and charming secondary characters all come together to make this movie a top notch work of art. Have you seen Frozen? If so what did you think? How does it rank against your favorite Disney Animated movies? Let us know in the comments below! Which Disney Princess film is your favorite?